Project Description: The Peak Wastewater Flow Improvements Project for the Jackson Energy Authority in Jackson, Tennessee was implemented to increase the peak hydraulic capacity of the biological treatment components of the Miller Avenue Wastewater Treatment Plant (MAWWTP) and to provide enhanced flow metering for the raw sewage, return activated sludge, and treated effluent. The MAWWTP was originally constructed in 1965 and received its last major renovation in 1985 which included two large aeration basins and four secondary circular clarifiers with a design biological treatment capacity of 17.4 million gallons per day (MGD) and a design peak hydraulic capacity of 36 MGD. The current average daily dry weather flow is approximately 8.5 MGD which allows the MAWWTP to operate using one aeration basin to promote better biological operation and reduce energy consumption. During peak rainfall related flow events, the influent wastewater flow reaches 36 MGD which requires that two aeration basins be placed into operation due to hydraulic constraints. Placing the MAWWTP into two basin operation created many difficulties including (1) rainfall events often required the switchover at night when the plant is not staffed, (2) ensuring appropriate distribution of mixed liquor was problematic since filling the out of service basin would stop flow to the in service basin, and (3) switching back to one basin operation after peak flow events created substantial additional labor in transferring the out of service basin contents to the in service basin. To increase the hydraulic capacity of the plant to 36 MGD using one basin operation, a new peak wastewater flow diversion structure was constructed to divert the raw wastewater to the inlet end of the aeration basin using four adjustable weirs. 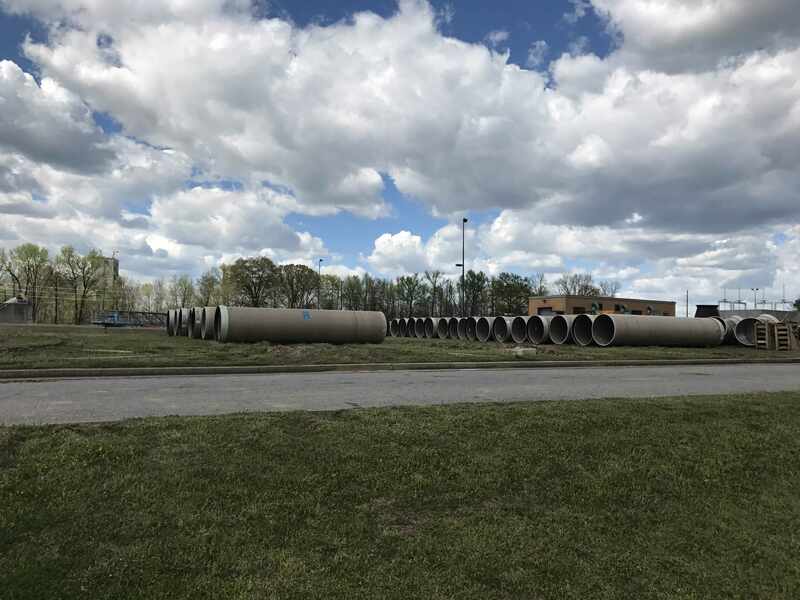 As the existing 48-inch raw wastewater line surcharges due to increased flows, the excess flow discharges over the four weirs and flows through a new 48- inch pipeline to the inlet end of the aeration basins. Improvements to the piping between the aeration basins and the final clarifier influent distribution structure were required to lower headloss between these structures. The flow metering improvements include a new 36-inch raw wastewater electromagnetic flow meter, a new 24-inch return activated sludge electromagnetic flow meter, and a new 60-inch effluent parshall flume. The project was constructed by Garney Companies of Kansas City, Missouri at a final construction cost of $2,999,257. The excess peak flow was transported from the peak flow diversion structure to the inlet end of the aeration basins using 48-inch Hobas Pipe. 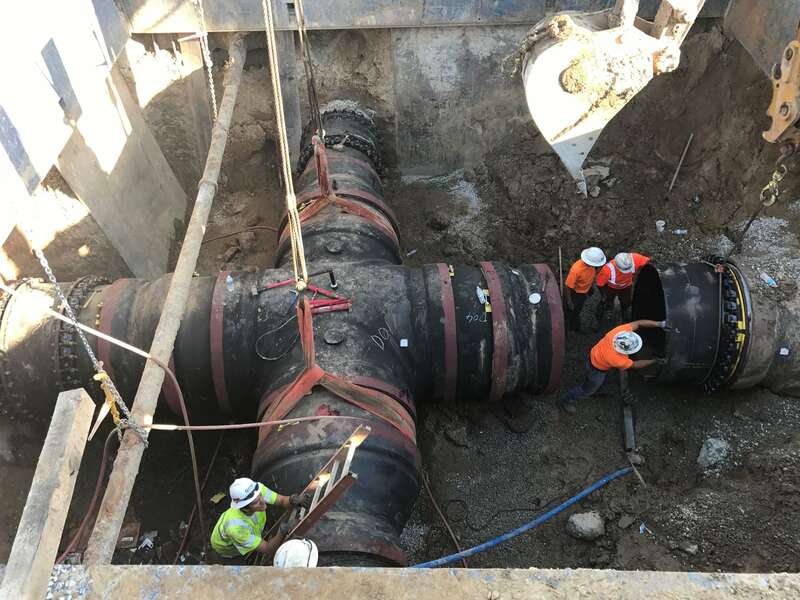 Headloss between the aeration basins and final clarifier influent distribution structure was reduced by installing piping improvements including a 60-inch DIP cross. 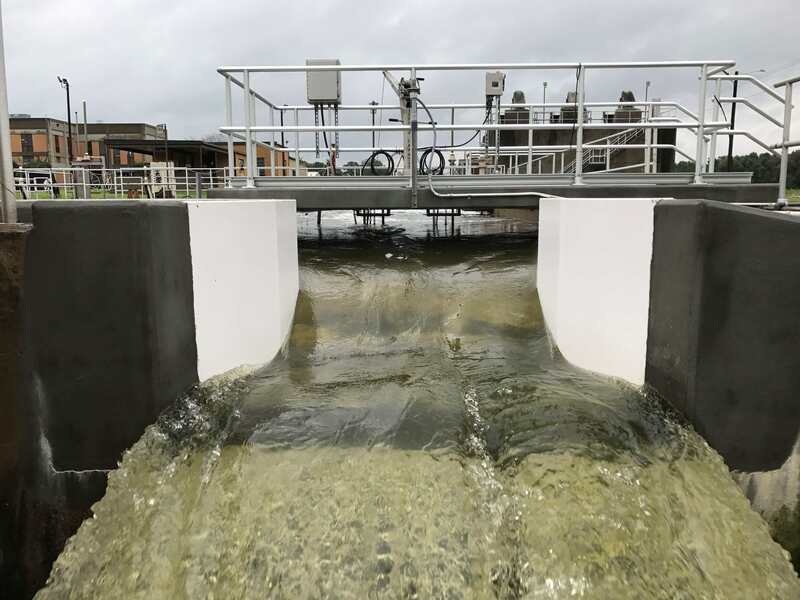 Flow cascades over a new 60-inch Parshall Flume which was installed at the effluent end of the existing chlorine contact chamber. 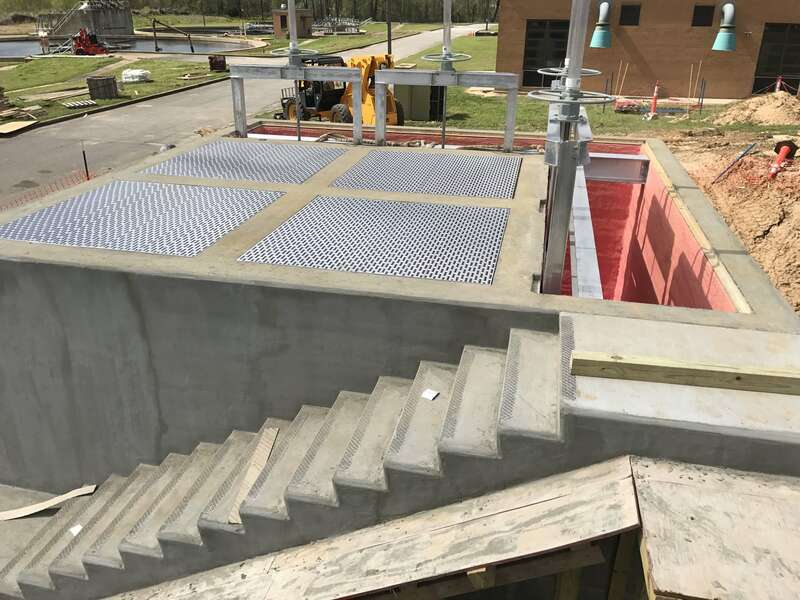 The peak flow diversion structure includes four 5’-0” long adjustable weirs which allow excess raw wastewater flow to be routed to the inlet end of the aeration basin which reduces overall headloss and allows 36 MGD to be treated by one basin during rainfall events. The cast in place structure was coated with a special lining for corrosion protection.